Some time back I hauled from Kbeauty shop BonjourHK, my second haul since my previous one I blogged about some months back. 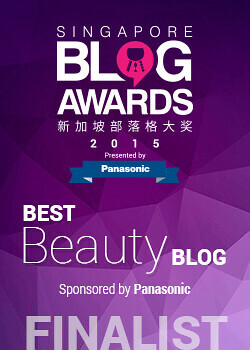 As always, the draw was the array of Kbeauty items, including both makeup and skincare! And it is quite a haul too! Since this haul has quite a lot of stuff, I've broken it down into two posts, so that it won't be too long. In this first post, I'll deal with the face cleansers, skin lotions, skin analyzers, and other face and skin stuff. In the next post, I'll deal with the lip products! So let's get started! First up, we have the Holika Holika Gonyak Soft Jelly In Cleansing Foam, which is pretty interesting. As the name indicates, "Gonyak Soft Jelly" is a reference to konnyaku or konjac jelly, which is a firm, bouncy jelly that makes for a really nice treat. The Gonyak Soft Jelly In Cleansing Foam basically is a cleansing foam with little bits of konnyaku-like particles inside. These are not konnyaku, of course, they're probably some sort of polymer balls, but the idea is that you can use these little jelly-like bits to exfoliate in a more gentle manner. And above, the cleansing foam. I'm not sure if you can see it, but there are a number of the "soft jelly" particles there. They're transparent, so it looks like the foam is splashed all over in my palm, but a lot of what looks like drops of foam from the splash are actually bits of the cleansing jelly. Actually I do quite like the idea of using these little soft particles to exfoliate - if you're going to exfoliate physically, this is probably the most gentle method I know of for now. Of course, I've mentioned on this blog before that I'm more of a fan of chemical exfoliation, and as far as physical exfoliation is concerned, the softer, the better. And these jelly bits are pretty soft! The only drawback with the Holika Holika Gonyak Soft Jelly Cleansing Foam, alas, is the pH. When I used the foam, I found that it left my skin pretty tight and dry, and this isn't a good sign - for me, it's usually an indication that the cleanser is too harsh and is stripping my skin. So, I decided to test the pH of the product, because in my experience, the cleansers with higher pH tend to be the harsher ones as well. And sure enough, the Gonyak Soft Jelly Cleansing Foam had a pH of 8.0, which is pretty darn high (for reference, your skin's natural pH is about 5.5, so a cleanser ideally should be closer to that ballpark). There are two pH strips because I tested the product twice, once by itself, and once mixed with water (to simulate a real-life face-washing scenario). Either way, the pH came out the same. I know not everyone is bothered by high pH cleansers, but I happen to be one of them, so I guess I'll use this for washing my brushes or as an occasional cleanser or something. 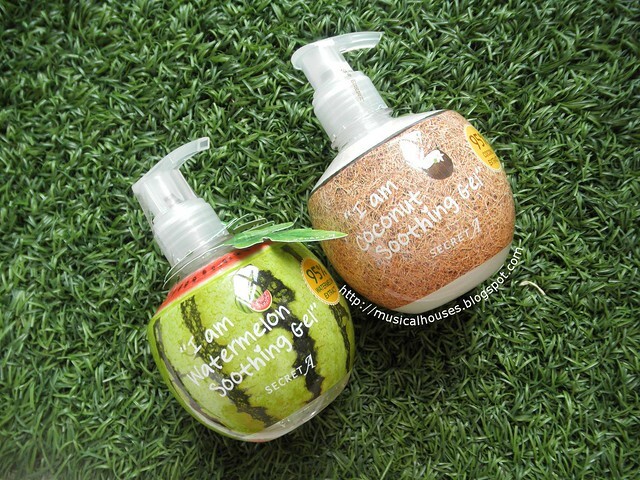 The next products we have are the Secret A I am Coconut Soothing Gel, and I am Watermelon Soothing Gel. As far as I know these seem to be the only two variants of Soothing Gel, and there isn't a "I am mango" version or anything. These are multipurpose for both face and body, and are basically very lightweight moisturizing gels you can use anywhere. So you could use them under other moisturizers, or by themselves if you deem them sufficient. 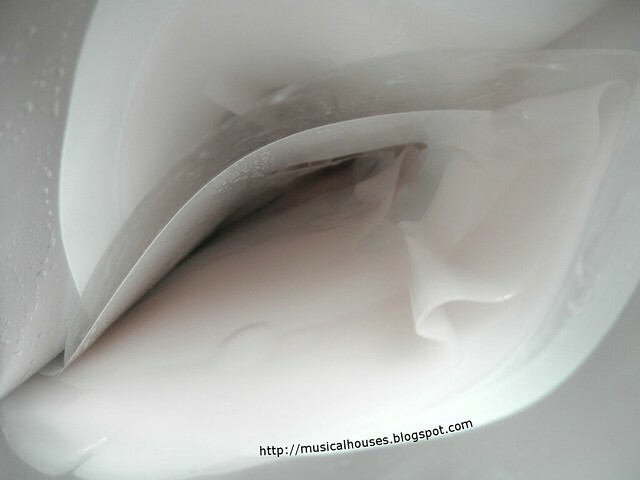 Above, you can see a swatch of the I Am Coconut Soothing Gel. This is a slightly milky-coloured gel, and pretty lightweight, absorbing with no residue. The I am Watermelon Soothing Gel is above, and also has a similarly lightweight texture and absorption. There is a slight difference in texture, and the Watermelon Soothing Gel is a bit more watery and slightly runny, and is also clear. Unfortunately the product didn't come with the ingredients list, but from what I googled online, it seems to primarily be the fruit extract, glycerin, and water, and small amounts of other plant extract and the like. My guess is that both products are formulated quite similarly (water, glycerin, relevant fruit extract), with only minor differences between them. But both do feel nice and lightweight, and are quite easy to use. I do like these, and I can definitely see myself using these on both face and body. 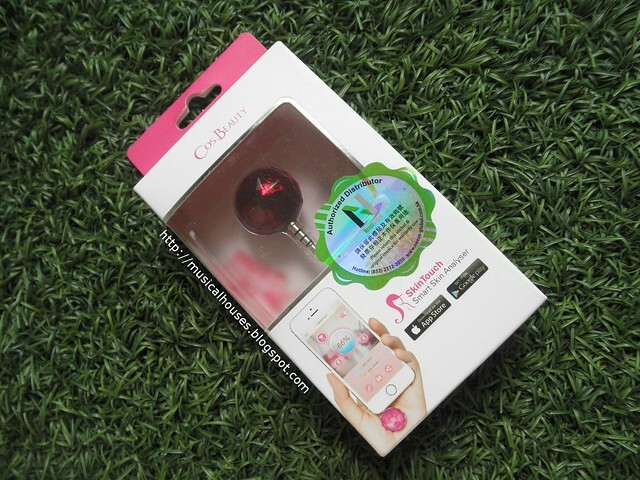 Also in my haul is a Cos Beauty SkinTouch Smart Skin Analyzer. 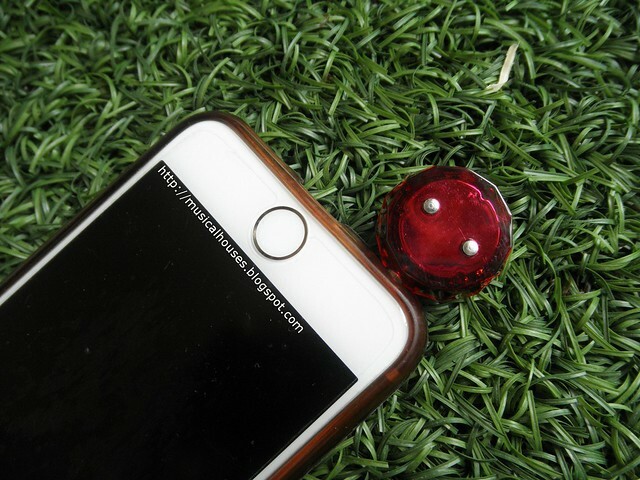 Basically, it's a little skin analyzing device that you need to plug into your smartphone to get it to work. In order for it to work, you need to download 1) the software from the company's website, and 2) plug in the device hardware. So it's sort of like installing a printer or scanner - you need to install software as well as buy the physical machine, except that the "computer" is your smartphone. Once that's done, you'll need to calibrate the Skin Analyzer by cleaning the probes, and then place the probes against your bare skin to get a "base" reading. From there you can compare "before and afters" - your skin's moisture and oil levels before and after you apply moisturizer, a mask, or other skincare. Above, some of the finer points explained on the box. I have to admit - I haven't actually used this device yet, because I haven't had enough free space to download the app, between all my guinea pig photos, food photos, and makeup photos (I know, I know, excuses excuses). But when I do get around to using it I'll report back! Lastly, we have another two Holika Holika skincare items! 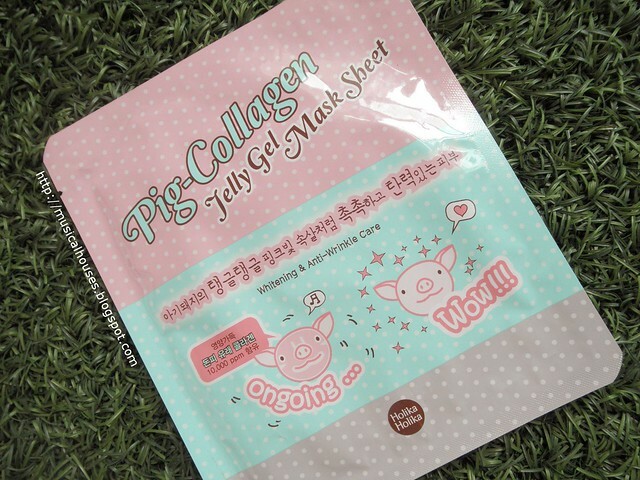 One is a Pig Collagen Jelly Gel Mask Sheet, while the other is the Clear Black Head Peeling Massage Gel. The Holika Holika Pig Collagen Jelly Gel Mask Sheet is basically a hydrogel mask, while the Holika Holika Clear Black Head Peeling Massage Gel is basically a gommage gel with a oil base. You basically massage it into your nose (or wherever blackheads are), and then leave for 5 minutes, and then wash off. When I looked up the ingredients list on the Holika Holika Canada website, it seems to be primarily an oil base with some alcohol (HYDROGENATED POLYISOBUTENE, ALCOHOL, HYDROGENATED POLY(C6-14 OLEFIN), OLEA EUROPAEA (OLIVE) FRUIT OIL), so it looks like this works on the principle of "like dissolves like". In other words, the expectation is that the oils in the product will soften and dissolve the oils in your blackheads, removing them slowly over time, which is also how oil cleansers work. I didn't see any benefit when using this, probably because I've only used it a few times, and if you're slowly dissolving off your blackheads bit by bit, then it will take quite awhile to see any improvement. But I'm not that skeptical about the product, because I do like oil cleansers. I guess if oil cleansing has worked nicely for you, then this might be a product that might work for you. 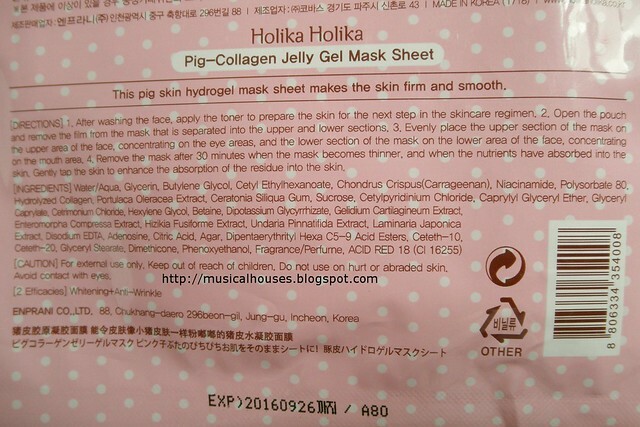 Lastly, we look at the Holika Holika Pig Collagen Jelly Gel Mask. I know "Pig Collagen" is going to put quite a number of non-Asian readers off the product because it sounds a bit gross, but it isn't unusual, as far as collagen products are concerned, because the most common sources of collagen for skincare products is pig and fish. This is why sometimes you see things like "Marine collagen" on some products' packaging to indicate the source of collagen. Anyway, this time, the product does have ingredients lists in English, which is great, so I didn't have to google around for this! The product consists mostly of water, humectants (Glycerin, Butylene Glycol, Sucrose), emollients (Cetearyl Ethylhexanoate), and thickening agents (Carrageenan (Chondrus Crispus), Ceratonia Siliqua Gum), emulsifiers (Polysorbate 80), the advertised collagen (Hydrolyzed Collagen), and some other skincare ingredients, like Niacinamide, often used in anti-aging and whitening products, and Portulaca Oleracea Extract, which has anti-inflammatory properties. Cetylpyridinium Chloride is the first preservative that appears in the ingredients list after all these ingredients, so we know that what follows is probably there in small amounts, and we've covered the major ingredients in this product. 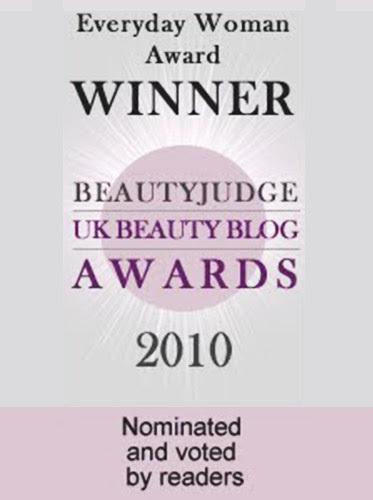 I've written before about collagen in skincare and supplements, and whether they work or not, so I won't repeat myself. But, collagen aside, this is a pretty nice mask - the humectants and emollients are quite effective at moisturizing skin, and it clings nicely to the skin without falling off or peeling off, which is really a plus point for hydrogel masks. I love hydrogel masks because I find them to be really effective in moisturizing the skin, and I really like how the mask "absorbs" into the skin and gets thinner over time. It could be a gimmick, but I do like it! BonjourHK Haul: All the loot! So that's it for the first part of this massive haul post! I would say my favourite items (so far) are the Pig Collagen Jelly Gel Mask, just because I love hydrogel masks, and my least favourite item is the Holika Holika Gonyak Jelly In Cleansing Foam, just because the pH was quite high and I found it to be very stripping. I also quite liked the Secret A I am Watermelon and I am Coconut Soothing Gels, just because they seem quite nifty as multipurpose items. 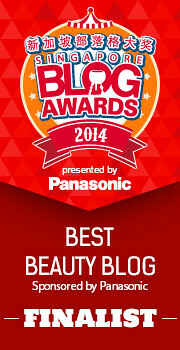 So I think the Holika Holika Mask and the Secret A Soothing Gels would be my pick from the first half of my haul!